My Vitamin D Level is 19 ?? I was told my Vitamin D level is 19 ?? That sounds very very low to me! My doctor recommended 50,000 IU's of vitamin D per week. Is this normal?? Comments for My Vitamin D Level is 19 ?? Yep, your Vitamin D level is pretty low. And yes, 50,000 IU's per week is a 'normal' dose. But what should NOT be normal is that your doctor is giving you a prescription for Vitamin D.
Researchers suggest that Prescription Vitamin D Should Not be Used for Supplementation yet doctors still insist on using the prescription form of Vitamin D out of habit. So, you may want to consider getting Vitamin D3 Supplements at the same dose and taking those instead. Be sure to test your Vitamin D Level again in 3 to 4 months and make sure that it is within the optimal research recommended levels. Then after it IS between 40 to 80 ng/ml, then you will want to take enough vitamin D to meet your Vitamin D Requirements for maintenance. My Vitamin D level is also 19.2. My doctor perscribed 50,000 units of Vitamin D three times a weeks for 12 weeks and then 2,000 units per week. I'm taking what was prescribed, but it seems like an overload. 50,000 IU's per week is a 'normal' dose- and the extra 2000 IU's a day is insignificant and fine to take. But what should NOT be normal is that your doctor is giving you a prescription for Vitamin D.
Then after it IS between 50 to 80 ng/ml, then you will want to take enough vitamin D to meet your Vitamin D Requirements for maintenance. As for why it's low, I've answered this on the Causes of Vitamin D Deficiency page. You should also be sure to read the page on Magnesium and Vitamin D to see why you should NOT take that vitamin d alone, but you should also take it with magnesium in order to minimize any of the possible Vitamin D Side Effects that are really problems of magnesium deficiency and NOT problems from the vitamin d!! Actually, I am getting 50,000 units three times a week and I do have a prescription.... so 150,000 units for 12 weeks. vitamin D level 19.2. I'm concerned I was prescribed too much. Whoops, sorry. For some reason I didn't see your reference to 3 times per week. While this is probably a bit on the aggressive side, that's actually a good thing. Your doctor wants your levels to come up. Yeah!! 150,000 Per week ends up being 1 million 8 hundred thousand units over the 3 month period. And if you take a look at the Overdose on Vitamin D you'll see that newborn infants in East Germany received that amount over a 6 month period with no ill effects. While everyone is worried about overdosing on Vitamin D, it's WAY safer than Tylenol Side Effects or Aspirin Side Effects which send thousands to ER's every year. Most ER doctors have never even seen a case of Vitamin D Overdose. As an ER nurse for over 14 years, I never saw one single case. Don't worry about the dose, but what you SHOULD worry about is the fact that you are taking Prescription Vitamin D which is NOT RECOMMENDED!! Prescription vitamin d has a higher rate of toxicity than Over the Counter Vitamin D3 Supplements, so if you are worried about toxicity, then you should not take that prescription!! The other thing of concern is the fact that you will deplete your magnesium if you take these high doses without also taking magnesium supplements. Please see my page on Magnesium and Vitamin D page to see what I mean. I don't know how old this thread is, but I was just prescribed the 50000 vitamin d and I've already taken two doses. My level is 19 too. If you read the thread that you commented on, toxicity from vitamin d is EXTREMELY rare- and NONEXISTENT with 50,000 IU's per week. EVERYTHING has a chance of toxicity, even water, so are you going to not drink water anymore because of the chance of toxicity? Of course not, you moderate so that you don't get too much and you don't get too little. The concern with your 50,000 IU's per week is that it's simply the wrong KIND of vitamin d, not that 50,000 IU's will make you toxic. You are deficient and you need to treat your deficiency. Please RE-READ the thread that you just commented on, there is no place that I say that 50,000 IU's is toxic. I told her that 150,000 IU's per week was 'aggressive'. Please re-read the thread. 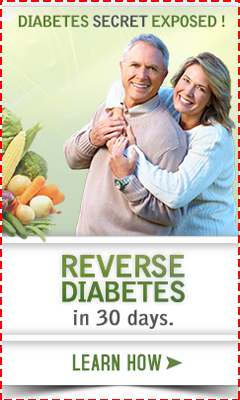 I outline SEVERAL times where on my site to go to know how much and what kind of vitamin d to take. The blue underlined links go to new pages that take you to a page on that topic. Please click the blue links in the thread to take you to those topics that I've already recommended in this thread...and actually several hundred times throughout my site..
Am I getting enough Vit D supplements? My diagnosis in Jun 2012 was 19. Doc put me on 2,000 IUs of D3. I feel like I'm getting worse but I'm finding that most docs know very little about vit D deficiency. I have fractured my foot twice in past 9 months, have moderate bone pain, chronic fatigue, cognitive impairment, widespread myopathy which cause me to trip, fall, etc. Working 8 hours a day/40 hours per week takes all of my strength and generally runs my body down by the end of the week so I never feel well. Weekends are ok days and can manage to get through. Work days leave me napping, feeling very run down like I'm fighting for my life. All tests have come back normal, even tested for MS, and only thing they can find is vit D deficiency and thyroid is high (which is normally too low) but I understand that the thyroid tries to pick up the load from vit D shortage. Should I be taking 50,000 IUs of D2 once a week? I'm not going to get the right answer from a any doctors I'm seeing. 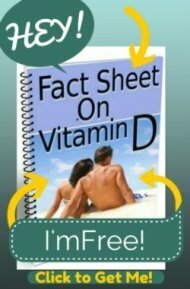 Please look to the right top of this page and get my free Fact Sheet on Vitamin D by signing up for my newsletter and that will answer most of your questions. Kerri's note: And you have to do everything your doctor says? Or is he a reference by which he gives you information that you are allowed to make your own decisions? Is it dangerous to get pregnant having a vitamin d level of 19? Im currently taking 50,000 unit vitamin d prescription for 12 weeks. Better to get your levels up. If you are not pregnant already and have the option, why would you not wait until your levels are optimal? The most formative time in your infant's life will be in the first trimester, so unless there is some compelling reason that you MUST get pregnant NOW, then wait. Please read my article on Vitamin D in Pregnancy to see why. Also, consider getting The Better Baby Book: How to Have a Healthier, Smarter, Happier Baby book. It will give you cutting edge nutritional advice about pregnancy. If you are considering getting pregnant, get it ASAP so that you can prepare. My Vitamin D is 19 too. Hi thank you for this information and to people on here. I just found out my Vitamin D is 19, I am 63 years old, have been tired, pains everywhere on and on. Hi! My Vit D level is 19. Donated kidney in 2007. Internist said RX Vit D 2. Cardiologist disagreed. Said people need Vit D 3. That's very disturbing that professionals disagree and now I'm not sure what to do. Can I take BOTH? There is no need to take both. They are both 'vitamin d'. It's sort of like a mechanic saying that you need 10W-40 oil in your car, and another mechanic saying that you need 10W-30. It's not some fundamental difference like one mechanic saying you need motor oil in your car, and one saying that you need to use seawater instead. They are just 'grades' on oil. Having said that, your cardiologist is MORE correct in saying that you need the 'grade' of Vitamin D that is Vitamin D3. Your internist is simply using the only tool at his disposal- a prescription pad; while your cardiologist is doing the correct thing and telling you to go to the health food store to go get your supplements. Ignore your internist and listen to your cardiologist. He's looking out for your best interests better by telling you to take Vitamin D3. Hello Kerry, I have read all the comments and have gotten a wealth of information from it. My Vit D levels are 19.5. Since 10/16/16 I have been taking Vit D3 20,000iu's. I decided this month (1/17) to take the prescription Vit D3 (50,000iu)once a week since I am still not feeling well. I am achy all over, a little fatigued. I find after eating a starchy root like yucca, my discomfort increases for a little bit. I have had all kinds of diagnostics done to rule out rheumatoid Arthritis & auto immune diseases, but I still feel poorly. My question to you is this: How long will it take for my levels to rise? I live in VA & its winter now so getting vit D from the sun is not possible. Should I take more Vit D supplements. You mention that people shouldn't be taking prescription vitamin D as if only D2 is available, but I take prescription calcitriol three times per week. Just want you to know it's available and covered by some drug plans, including Medicaid.